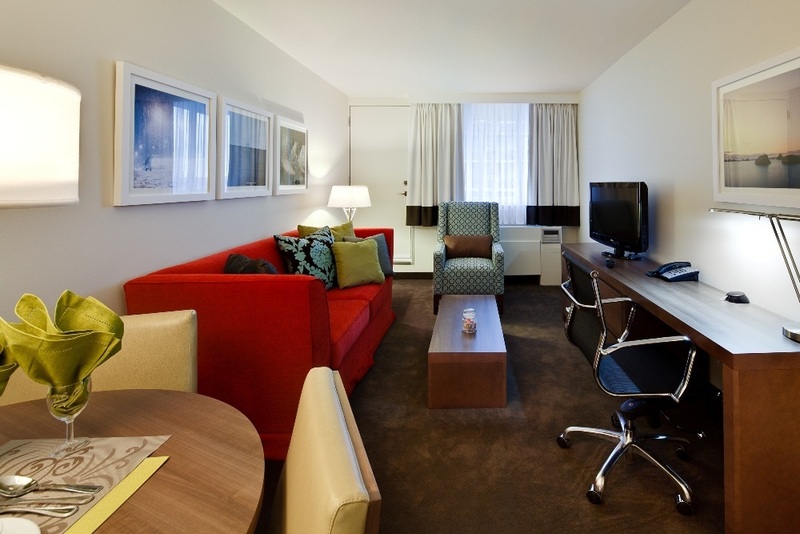 Settle into our accommodations that are more spacious than conventional hotel rooms with the same modern conveniences and personal comfort of the world’s best hotels. If you’re looking for a more spacious option during your stay in our hotel, why not try relaxing in one of our popular one bedroom suites. Each is designed to function like your own personal apartment in an urban setting, with a fully-equipped kitchen, and comfortable, spacious living area. 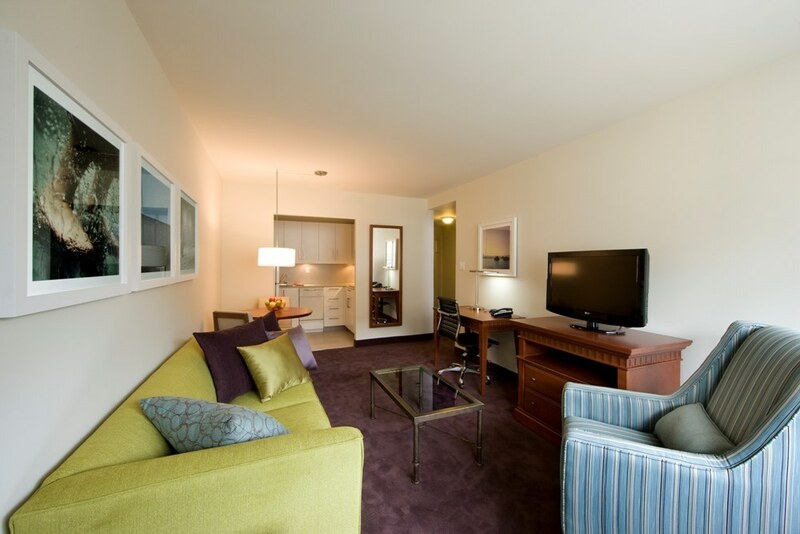 If you’re coming to town with a few friends or your family, our Two Bedroom Suites are ideal for you. These rooms are our most popular choice for families with two separate bedrooms, a large living area and a family-dining space. 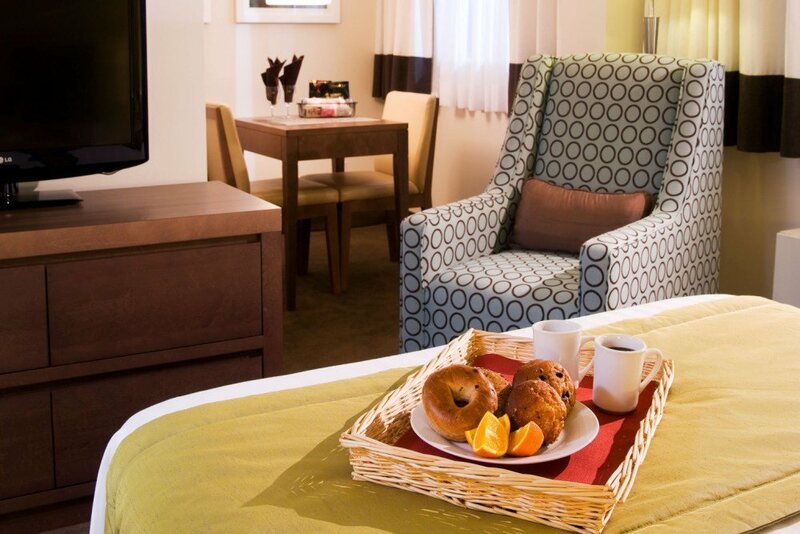 Whether you are on business or leisure travel, our spacious, well-appointed studios and suites are fully-equipped with everything you will need to relax. Unwind at our top-level swimming pool and sauna, keep fit with an invigorating workout in our high-tech fitness room or simply enjoy the comfort of your room and our first-class hospitality.